'Deep Purple' has had lots of recent improvements done e.g. New Raymarine wind instruments, New Raymarine Depth gauge, New auto bilge pump, Liferaft serviced August 2017, Engine over hauled October 2017, both heads overhauled with new pipe work and seacocks, new main sail furling line, gas detector, carbon monoxide detector and a new set of Flares (2017). 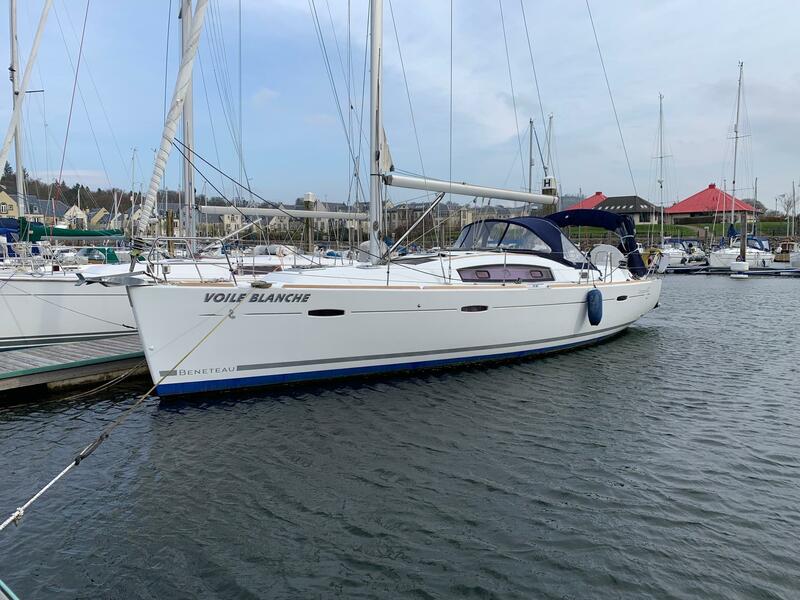 Based on the popular Westerly Seahawk / Falcon hull, the Riviera 35 offers a raised deck saloon providing light and great visibility from the saloon, an internal steering position, two generous cabins and two heads. Typical heavy build from Westerly, the Riviera comes with an easily handled all furling rig. She has the more reliable normally aspirated 28hp Volvo diesel and her twin keels allow her to explore shallow estuaries fin keeled boats would prefer not to! 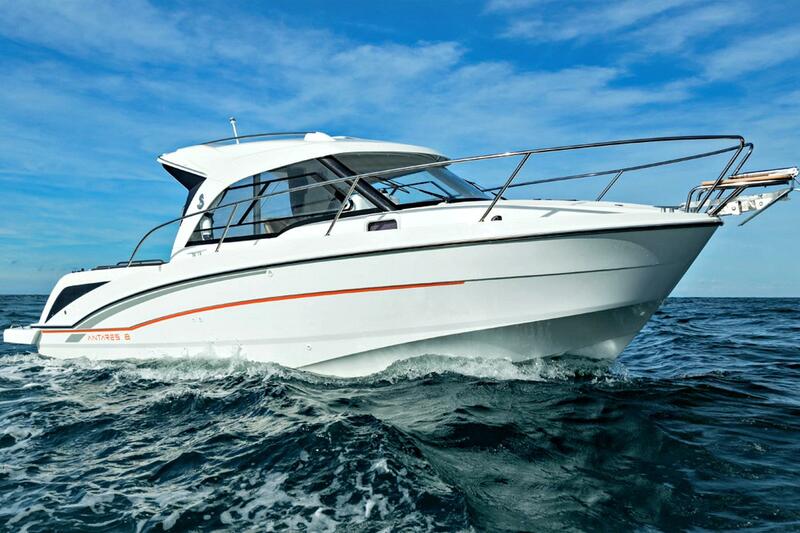 A spacious layout below decks with the great advantage of an internal helm position. Built to Lloyds HCC standards in temperature and humidity controlled environment. White GRP hull with blue cove lines and sugar scoop transom. Teak rubbing strake. Cast iron external TWIN keels. Dual station hydraulic wheel steering with emergency backup. White GRP deck, superstructure and draining aft cockpit. Blue/Grey moulded non slip deck surfaces, teak laid cockpit seats. Teak internal joinery. S/s pulpit, split pushpit with wire gate. Alloy stanchions and guardwires. Sugar scoop transom with steps and fold down s/s boarding ladder. S/s double bow roller, draining opening anchor locker with Lewmar Pro Series electric anchor windlass, CQR anchor and 50mtrs fathoms of chain. Bow, stern and spring mooring cleats. Teak grab handles on coachroof and deck saloon. Opening fore hatch. Opening saloon deck hatch. Small opening hatch to forward heads. Extra opening ports to aft heads and aft cabin to cockpit. Genoa tracks with double cars. Adjustable mainsheet track on saloon roof. Deep cockpit with steps in coamings for easy access to side decks. Teak laid cockpit seats and shaped helm seat. Teak cockpit sole grating. Deep cave locker to port. Draining gas locker. 2 x winch handle pockets. Pedestal wheel steering with s/s wheel and engine single lever control. Outboard stowage bracket. Assorted mooring warps and fenders. Emergency tiller. Rope tidy bags. Folding blue sprayhood â€“ new 2011, Vinyl covered cockpit cushions. Volvo Penta 2003 28hp 3 cylinder diesel engine, fresh water cooled with heat exchanger and wet exhaust. Fitted beneath deck saloon sole on flexible mounts. Reversing reduction gearbox driving a shaft driven 3 bladed propeller. Volvo low maintenance stern seal. Electric start, single lever controls at lower and upper helms. Fuel/water separator. â€œStripperâ€ 3 bladed rope cutter on shaft ( New 2013 ). Approx. 6.5 knots cruising Max approx. 7.5 knots. Engine serviced annually. Auto fire extinguisher. Rudder position indicator. New injectors fitted 2015. Various engine spares. Volvo engine manuals and workshop manuals. engine overhauled 2017. For up to 6 in 3 cabins with 2 heads (see plan). Seating blue patterned upholstery with complementing curtains. Carpet to aft and forward cabin floors. Teak & holly saloon flooring. Eberspacher diesel fired cabin heating system with 3 outlets New D4 fitted 10/13. Tidal clock, barometer. Windscreen wiper. Water heated by engine calorifier. 12v fan at helm.Forward cabin with large double berth to starboard, seat, lockers and hanging locker with full length mirror on back of door. Heads compartment to starboard with ensuite access from forward cabin. GRP moulded with Jabsco sea toilet, storage cupboards, hand wash basin, shower with curtain and draining tray. pressurised hot & cold water. Large hanging locker to port. 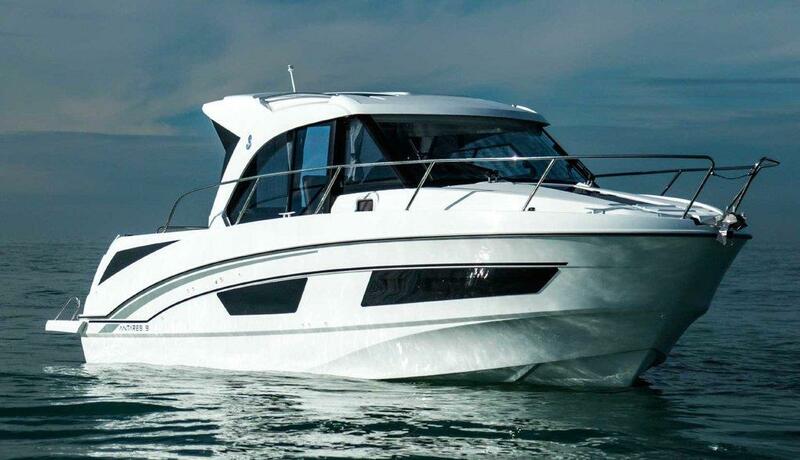 Steps up to Deck saloon with â€œwrap roundâ€ windows to front and sides. â€˜Câ€™ shaped seating to port, converting to a double berth with lowering saloon table, folding leaf. Internal helm station to stbd, wheel steering, engine ignition panel and single lever control. Instrumentation. Galley to starboard: Blue tiled work surface, twin stainless steel sinks with pressurised hot and cold water supply ( new 2014 ) and manual cold foot pump. Bainbridge Neptune 500 two burner gas cooker with oven and grill, insulated coolbox and good stowage. Steps aft to stbd down to aft cabin with twin or double berth, hanging locker and access to aft heads with Jabsco sea toilet, washbasin, shower with drain. All internal lights are converted to LED bulbs.Folding helmsman seat for inside steering position. Firdell Blipper radar reflector. Horseshoe lifebuoy. Dan buoy. Oscar man overboard sling. Manual bilge pump. 2 x 3kg Powder Fire Extinguishers. 4 man life raft. McMurdo EPIRB. CO detector. Smoke alarm. hook on man over board 5 step ladder which doubles up as access to and from the boat when beached. Gas detector. New flares 2017. Fuel: 55 gallons in mild steel tank. Fresh water: 95 gallons in two flexible tanks. Hot water: 8 gallon calorifier tank new 2014. Heated from engine and 240 Volt immersion heater system ( 1 kW ). 12 volt system. 3 X 12 volt 110ah batteries wired via isolator to distribution board. 50ah alternator charging. 12v internal and navâ€™ lights including bow, stern, steaming, deck and tri-white at masthead ( LED ). Status 12 volt TV and VHF antenna on masthead with amplifier. 240 volt system: Extension cable with sockets. Mobitronic IUOU battery charger. Deck stepped masthead sloop. Kemp anodised alloy double spreader in-mast furling mast and boom. 1x19 stainless steel standing rigging replaced 06/13. Sailspar furling headsail system (replaced 2007). Terylene running rigging with controls led aft to cockpit clutches.